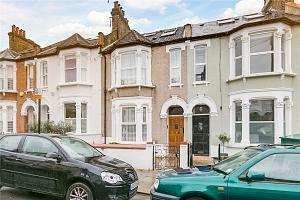 An up-and-coming London suburb, Earlsfield offers medium sized Victorian terraced houses. 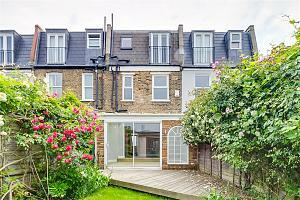 The affordability of the area compared to its neighbours such as Clapham, Wandsworth, Battersea and Putney, is drawing young families and many exciting businesses. New bars, delis and restaurants are regularly opening around Earlsfield Station, setting the area up for further growth. A number of bars and pubs are opening in Earlsfield, providing a selection of trendy evening destinations. Bar 366, conveniently located on Garratt Lane, has regular drink offers and incorporates more unusual ingredients in its popular cocktails. Bars in Earlsfield are also likely to be able to provide local beers and ales from nearby microbreweries such as By The Horns. For evening entertainment, check out Tara Arts: an intimate fringe theatre showing a variety of live shows and cross-cultural theatre. Underneath the arches of Earlsfield Railway Station can be found The Earlsfield, a bar with four separate dining and drinking areas based in a disused workshop. The original architecture has been complimented by the new decoration: copper pendant lights and button-upholstered vinyl booths provide a fashionable location for an evening meal or drink. The River Wandle, which once fed to the Young’s brewery in Wandsworth, flows roughly parallel to Garratt Lane throughout the area. There are a number of beautiful parks including Wandsworth Common, Garratt Green, Garratt Park and King George’s Park which includes a lake, sports pitches and a children’s play area. For parents, the play area and sports activities available at “It’s A Kids Thing” will be of interest. The group is open to ages up to 9 and won an award from LBC Radio. A café overlooking the play area allows parents to relax whilst keeping an eye on their children..
With the growth of the area, Earlsfield is attracting an ever-increasing number of organic delis, gastro pubs, bars and shops. The Southside Shopping Centre on Garratt Lane boasts a number of quality high-street retailers and 14 screen cinema. There are more shops and restaurants on the High Street between Garratt Lane, Allfarthing Lane and Burntwood Lane. Roxie’s has attracted attention for the beautiful steak it provides at affordable prices. Despite the fierce competition in London, Roxie’s is often hailed as having the best steak, accompanied by a strong wine list. This small chain is now also open in Clapham, Fulham and Putney. Earlsfield’s primary education is particularly strong. Notable Primary Schools in Earlsfield include Beatrix Potter School, Earlsfield School and Swaffield Primary School with Garratt Park School, Ernest Bevin College and Burntwood Primary School providing secondary education. There are also good bus routes to the West End and out toward Wimbledon. 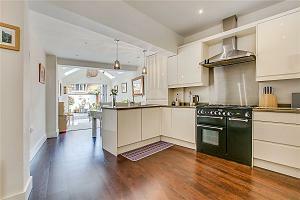 Becoming a popular area to live, Earlsfield has everything from great parks to the best steak house around! 6 Battersea Rise, Battersea, London, SW11 1ED. 153 Upper Richmond Road, Putney, London, SW15 2TX. Most recently added properties for sale in the area. Most recently added rental properties in the area. If you are looking for a property in Earlsfield, please get in touch by speaking to our property experts or visiting one of our branches. If you are looking for a property in Earlsfield, please get in touch by calling us or pop into our branch. Thinking about selling or letting your property?